Undertaker is not a regular in the ring anymore due to his age but one occasion where he always makes his presence is at the grandest stage of them all in Wrestlemania, but that may not happen in this year. Whenever a World Wrestling Entertainment (WWE) fan talks about Wrestlemania, one name that is certain to come up is ‘The Undertaker’. The legendary wrestler is not a regular in the ring anymore due to his age but one occasion where he always makes his presence is at the grandest stage of them all in Wrestlemania. No matter what obstacle, nothing has deterred the ‘deadman from making comebacks after comebacks, even at the age of 53. He has only lost in Wrestlemania twice to Brock Lesnar and then to Roman Reigns. However, last year he defeated 16-time world champion John Cena in emphatic fashion to put all the retirement rumours to rest. 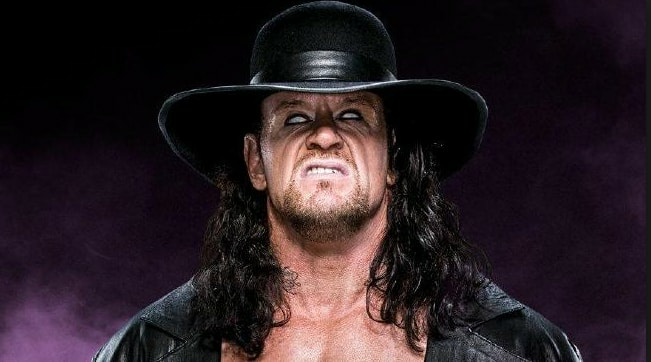 Following Wrestlemania 34, Undertaker took part in four matches in 2018. Since the match between DX and Brothers of destruction, he did not wrestle again. Now, reports have emerged which suggest that the Undertaker could be inducted into the Hall of Fame this year. However, as for Wrestlemania, there are no plans and storyline or opponent decided yet for the Undertaker, which suggest that the phenom could be left out from Wrestlemania this year after nearly two decades. Dave Meltzer of the Wrestling Observer Radio is a reliable source and he has fuelled these speculations further. Wrestlemania without the Undertaker is something most WWE fans have never seen in their entire lives, but retirement has been knocking at the door for a while now for the ‘Phenom’, only time will tell if he is ready to answer that call yet.